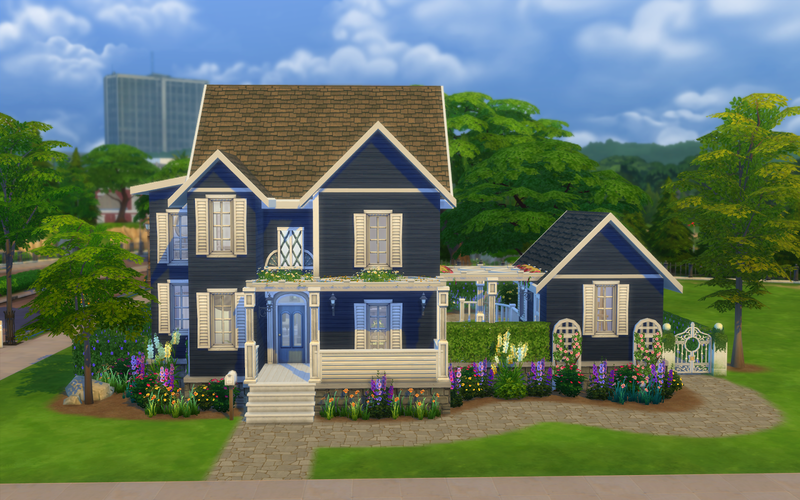 This family home is a transitional take on the classic farmhouse. 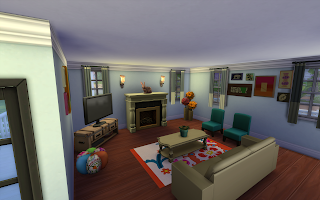 This home is CC FREE and comes fully furnished. MOO (moveobjects cheat) was not used on this lot. 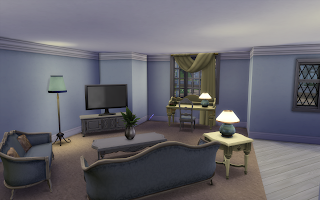 This home has 4 bedrooms and 3.5 bathrooms, has ample living space and bodes bright, transitional furnishings. 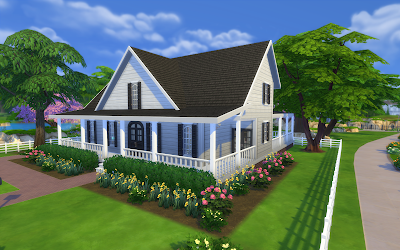 You can find this home and all my other creations by searching #peaches327 or by following me in-game. 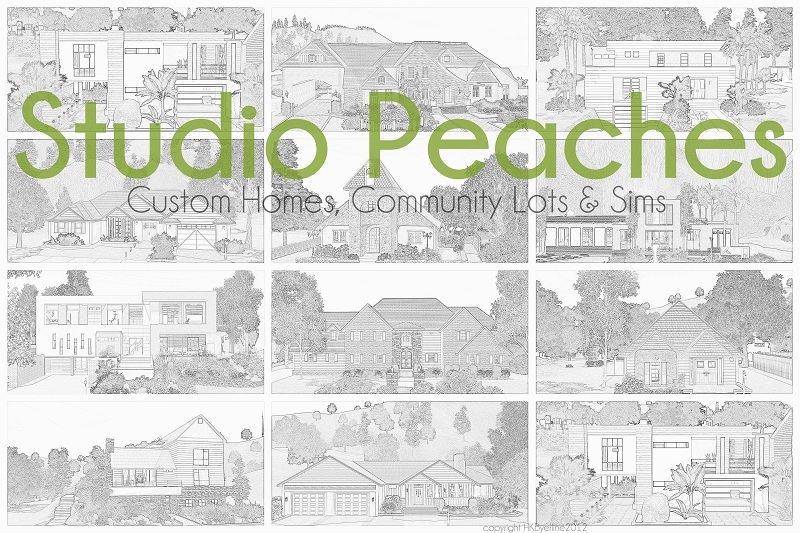 Please be sure to Favorite [or "Heart"] them home if you love it and show your favorite creators your support! 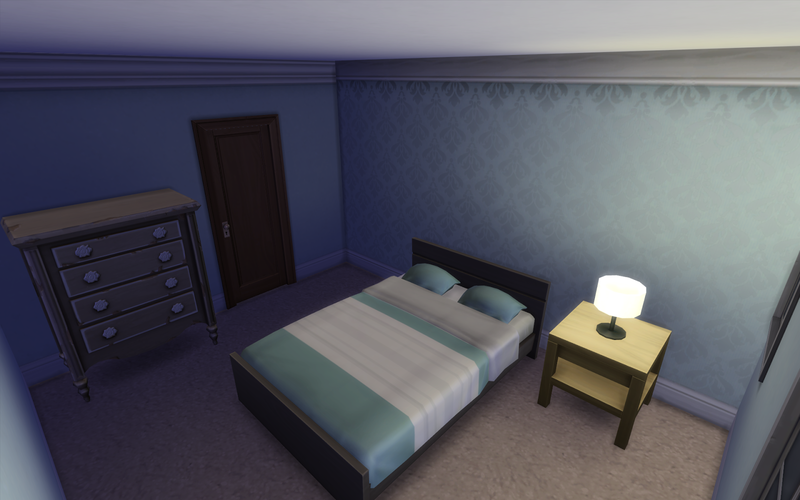 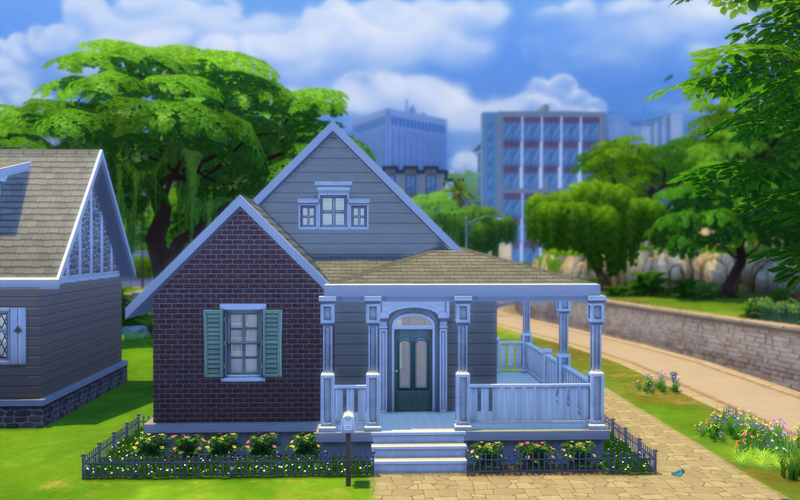 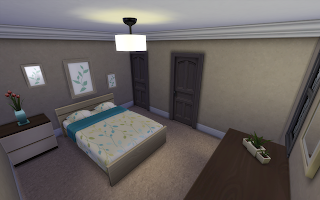 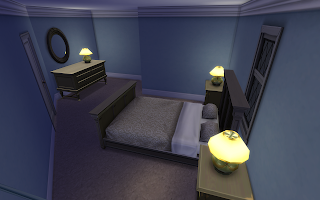 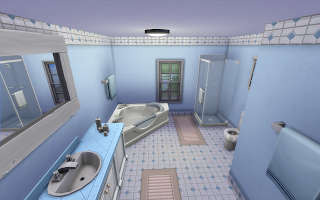 Home Sweet Home is an above-the-average starter that costs approximately 28K Simoleans. 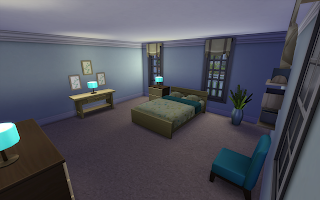 This home is 1 bedroom/1.5 bath house that's fully furnished. You will want bb.moveobjects (MOO) on in order for the plants around the house to show up. 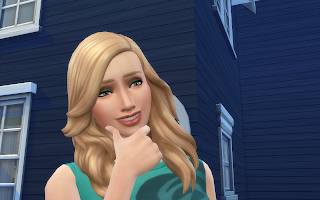 Other than that, MOO is not required. 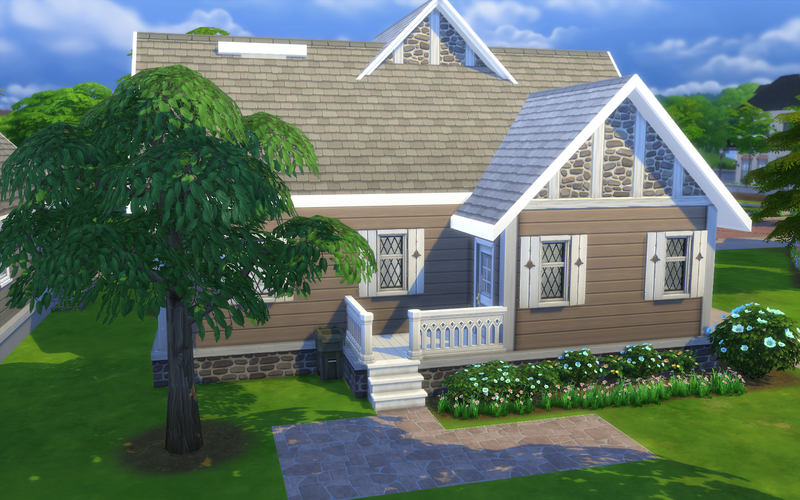 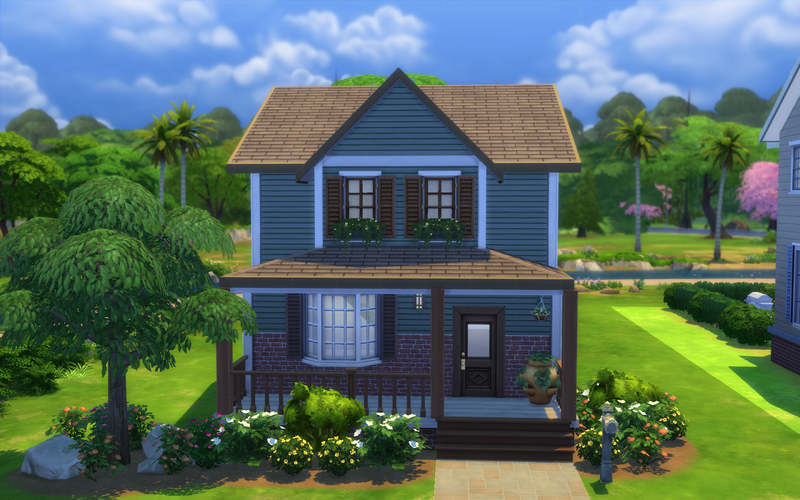 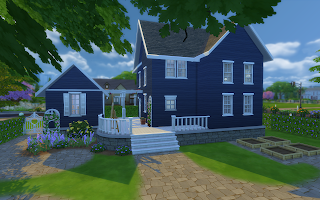 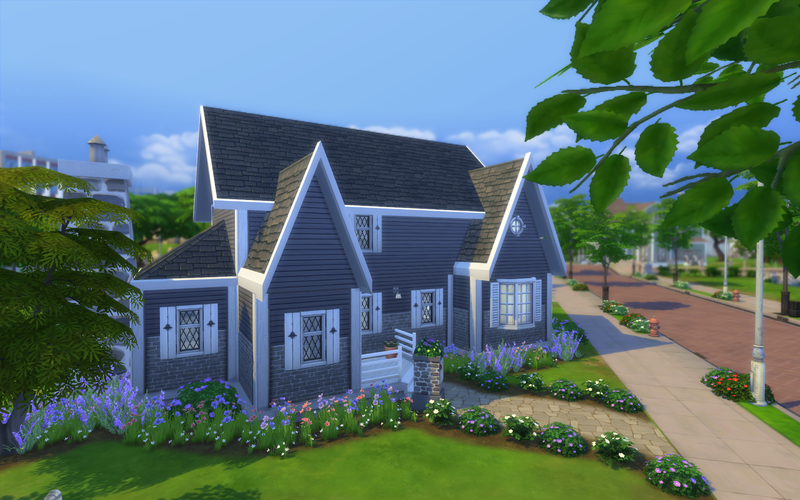 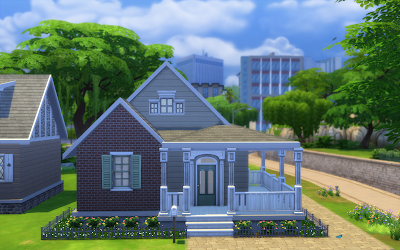 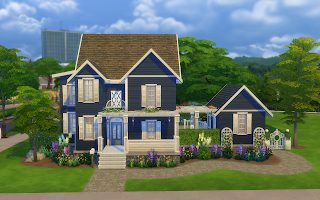 This home is CC-Free and available now in the Sims 4 Gallery. 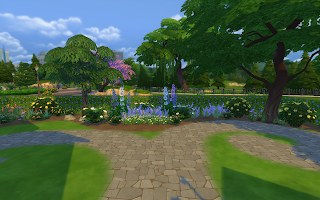 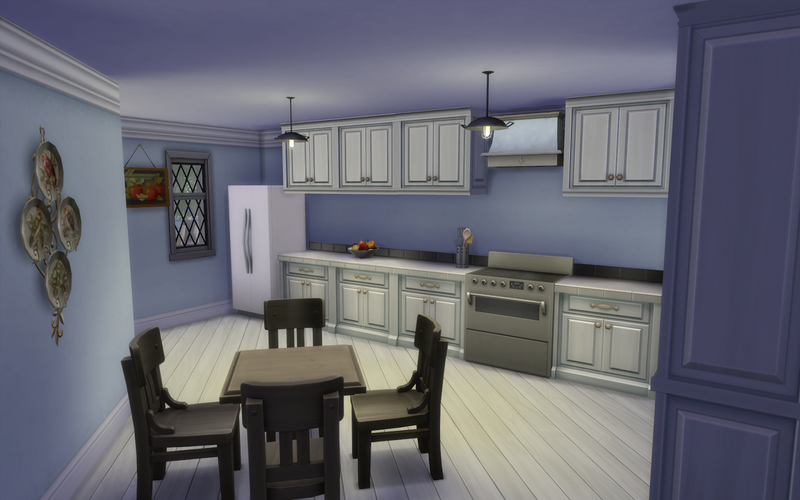 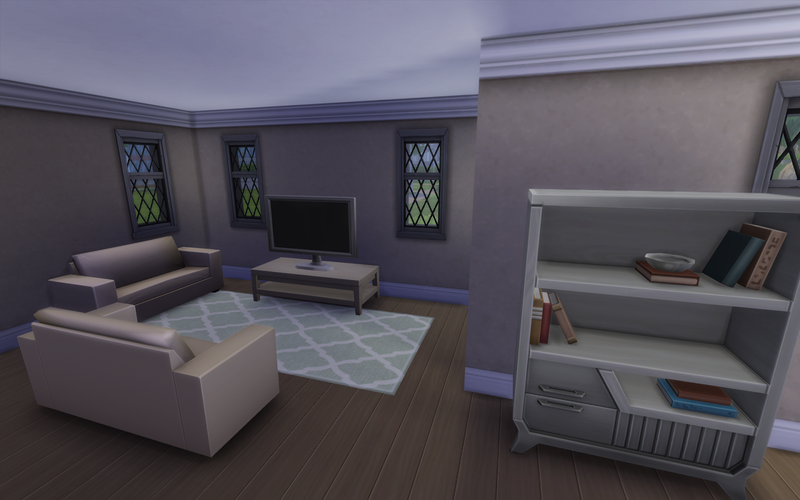 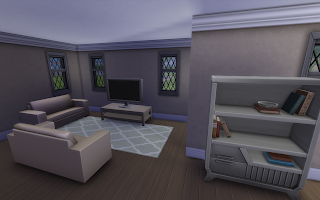 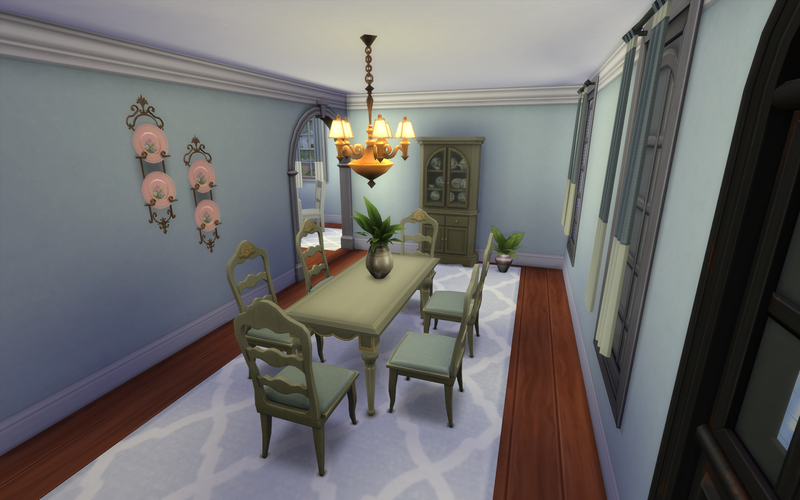 A new Sims 4 home has been added to the Gallery. You may find it under #peaches327 in-game. This home is CC free and built on an angle, my first (sort of blundering) attempt to do something different. 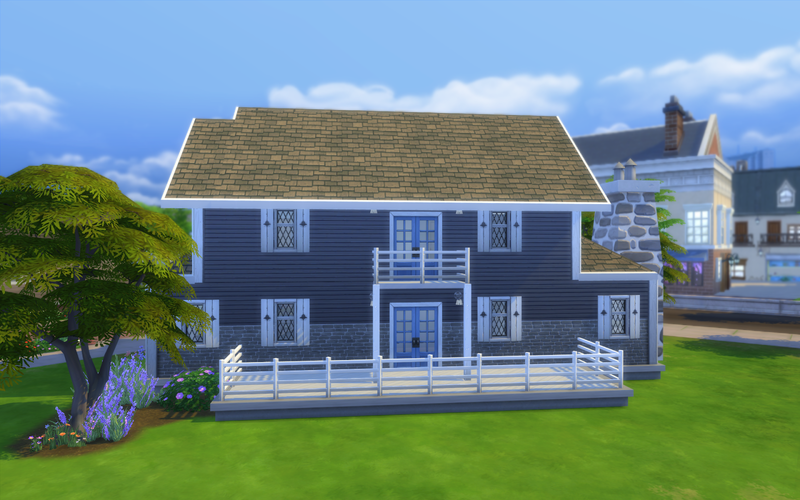 Although I'm not perfectly happy with it, I thought it was good enough for a first attempt at a home built on an angle. 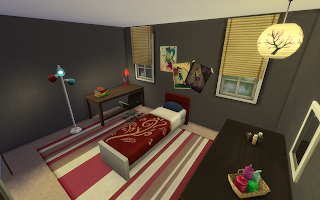 It's a 2bed/1.5bath home that's fully furnished. 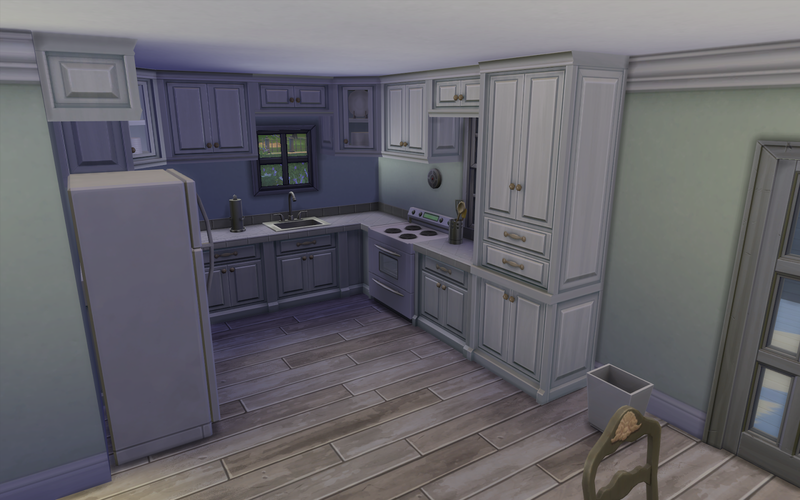 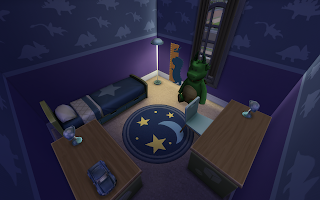 I will say that if you want all the items inside the house to show up properly you ought to turn bb.moveobjects on (moo) to ensure everything placed. 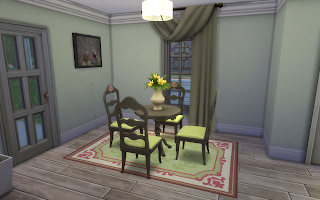 Two home are up in the Gallery today by Yours Truly. 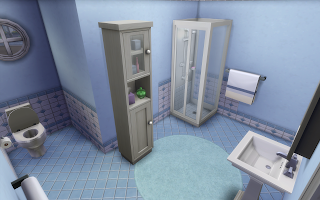 They're both simple starters, each with a low-ball budget. 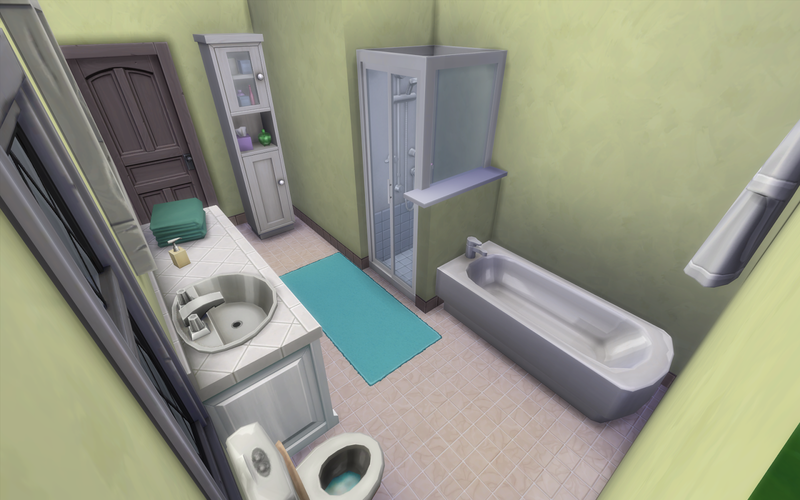 The first is "Tiny Traditional" which is only a 1 bedroom/1bath house but complete with the basic furnishings. 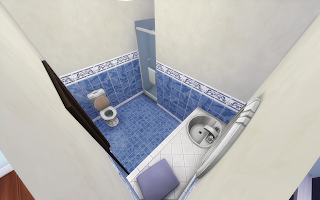 It also has access to an empty basement for future growth. This is a 3 bedroom/2.5 bathroom home. Both homes are CC Free and MOO-free. 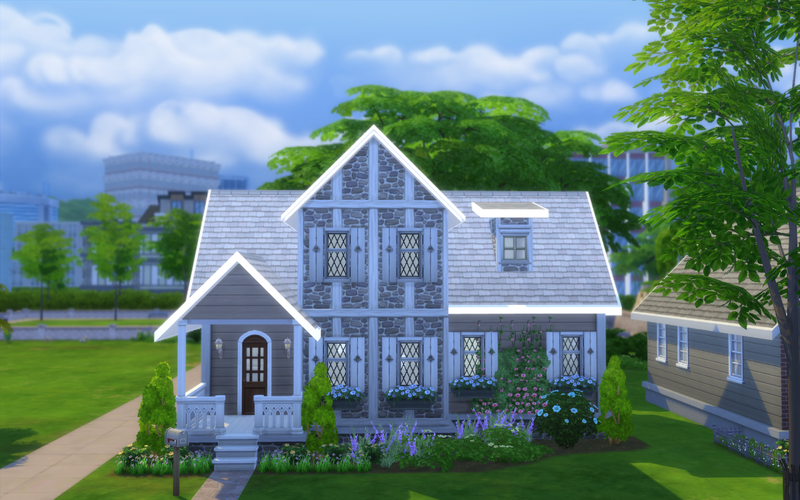 Back again with another build called Garden Farmhouse. This eclectic-styled home takes advantage of the new items from the newest stuff pack Romantic Garden Stuff. 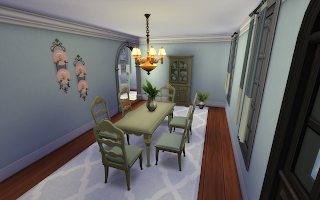 This home has a touch of traditional, whimsy, and charm. There's 3 bedrooms (only 1 is furnished) and 2 bathrooms. 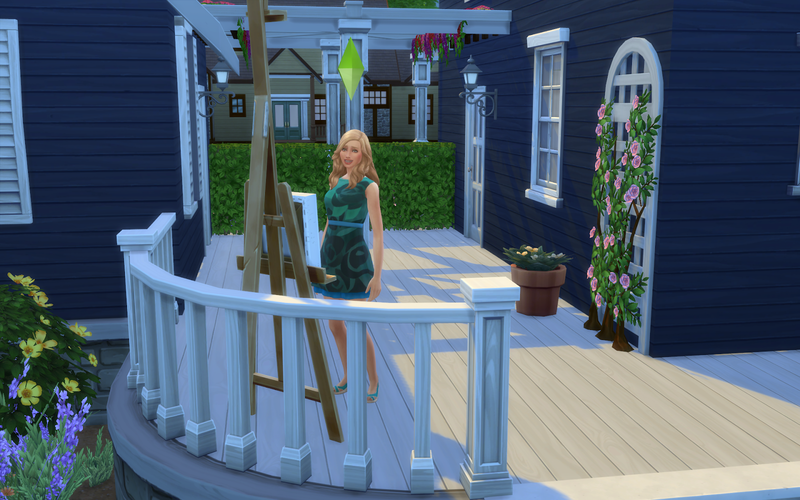 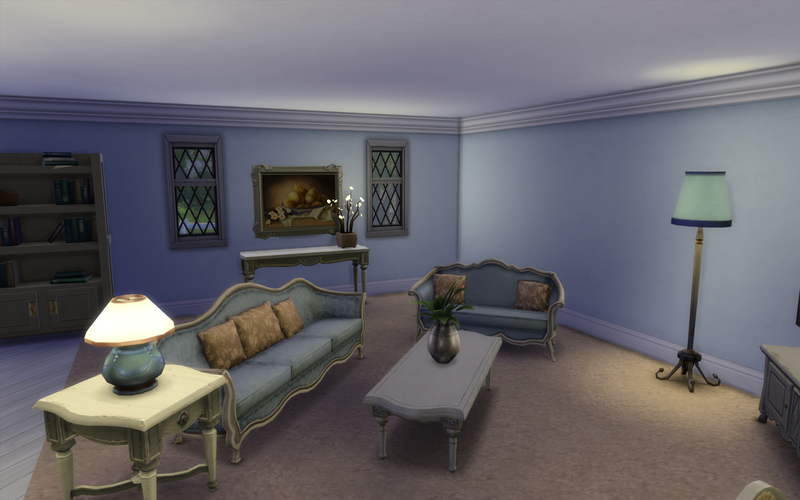 There is also a semi-detached artist's room where you art-inclined sims can paint. 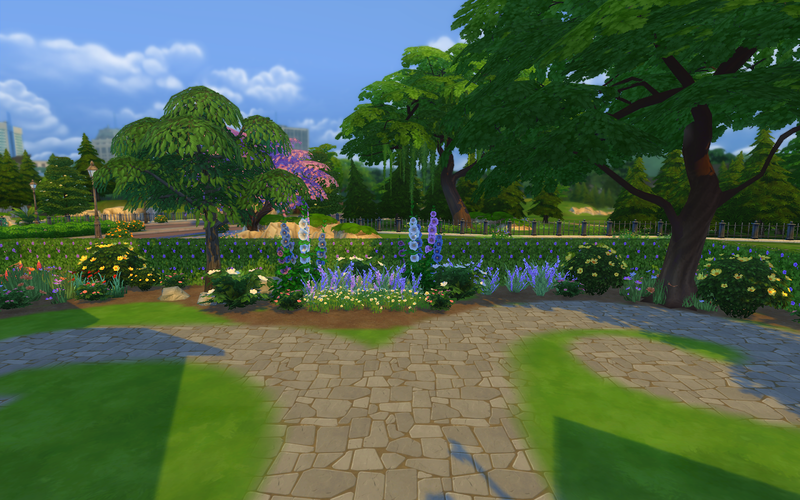 Surrounding the home is lush garden spaces. 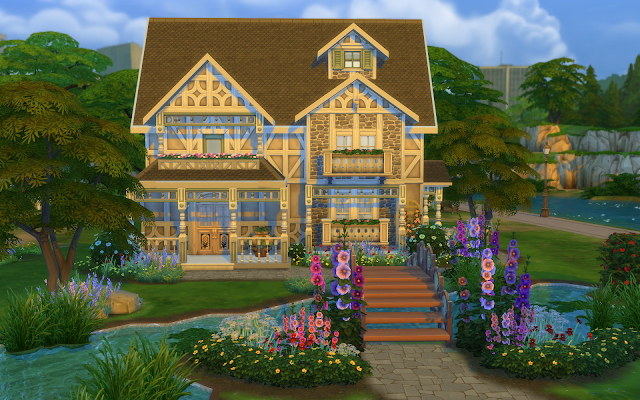 This home is available in the Gallery and has No CC but I did use MOO to achieve placing flowers on the arbors. 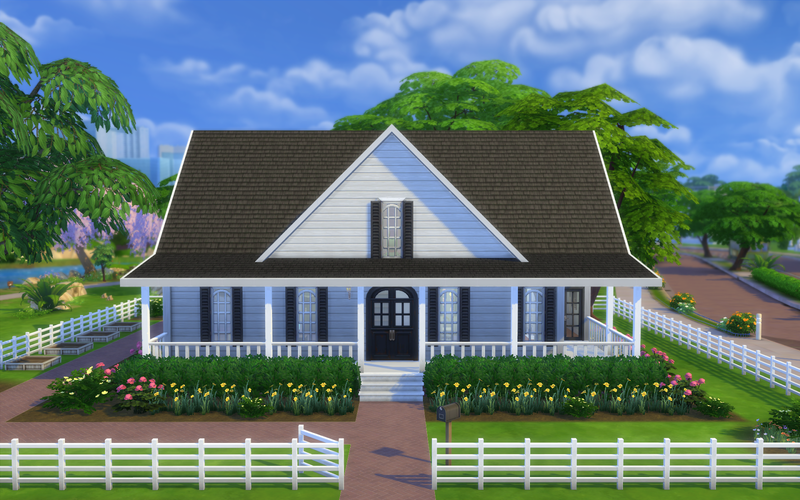 Lena Swann, a new sim who is a perfect match for the Garden Farmhouse, is also available for download in the gallery and she has no CC as well. A home originally available in Sims 3, from the Game Store, I reconstructed, designed and landscaped a sims 4 version. 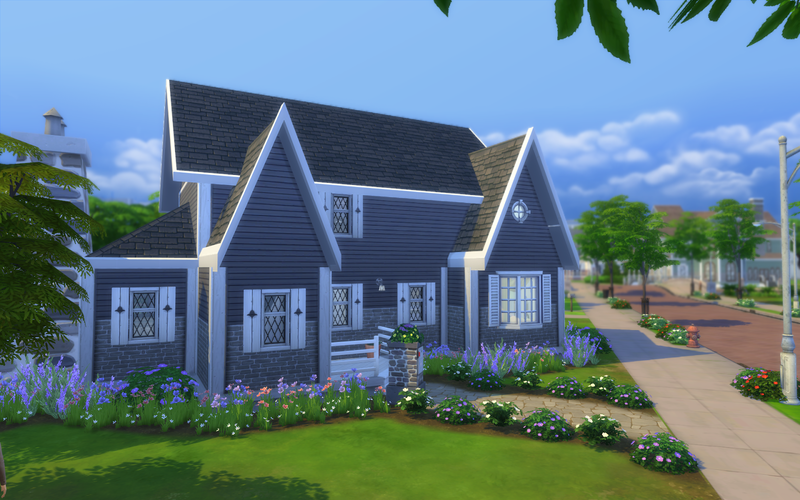 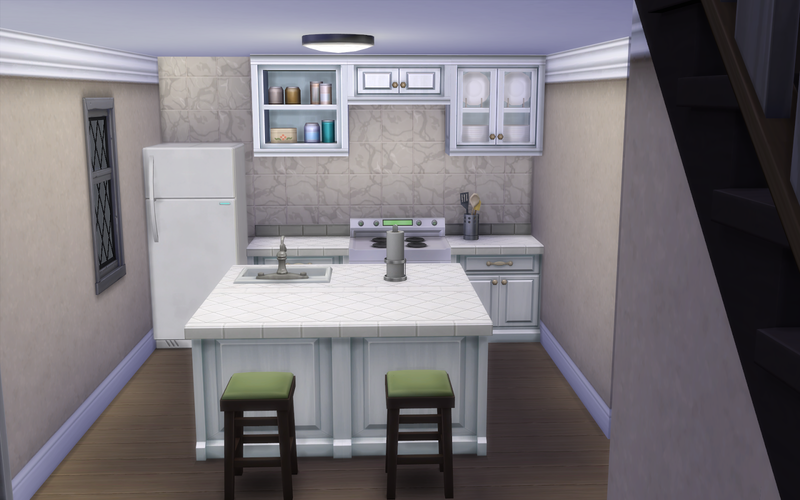 Although I'm not totally happy that I couldn't do things more closely to the original house thanks to Sims 4's house building limitations I am ultimately happy with the end result. 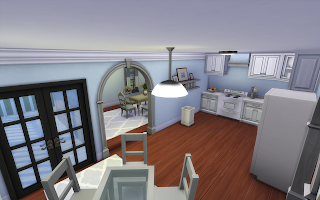 As always, my homes are 3rd party CC FREE, cheat free (no moo/moveobjects cheat). 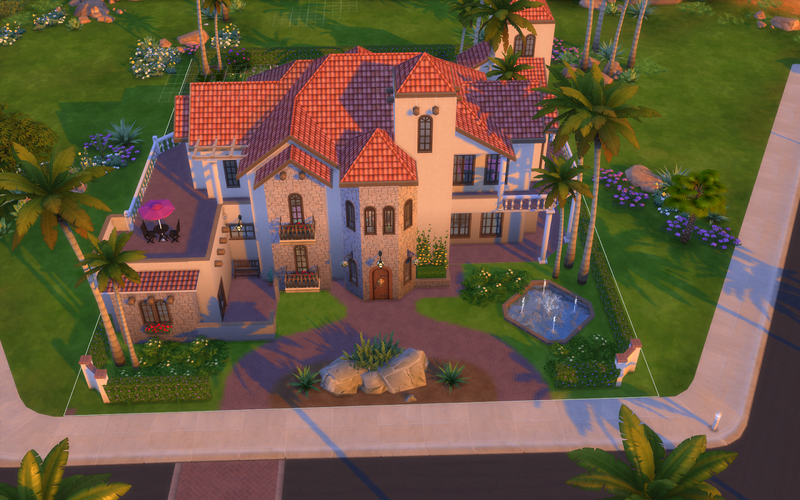 This is a 4 bedroom, 3 bath home that's fully furnished, complete with #SpaDay items and a pool. 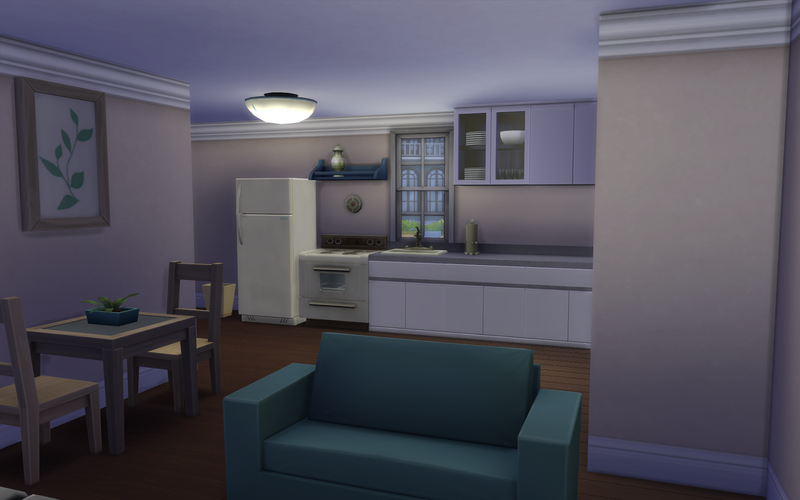 It's not the best picture in the world since I took it in build-mode, but the angle best shows some nice points of the house. 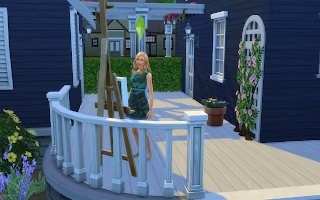 You can follow me in-game under Peaches327 and find all my creations in the Gallery by searching #peaches327.